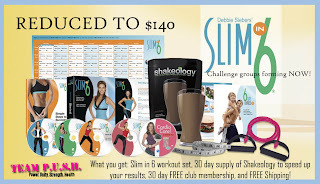 The popular Beachbody workout, Slim in 6, has been reduced. The challenge pack is now $140. This gives you access to our 60/90 day challenge group where you will get a meal plan, daily support and motivation to finish the program and get results. If you are ready for a real lifestyle change, or just want to get in shape for Summer, this is a fantastic low impact toning/cardio workout! 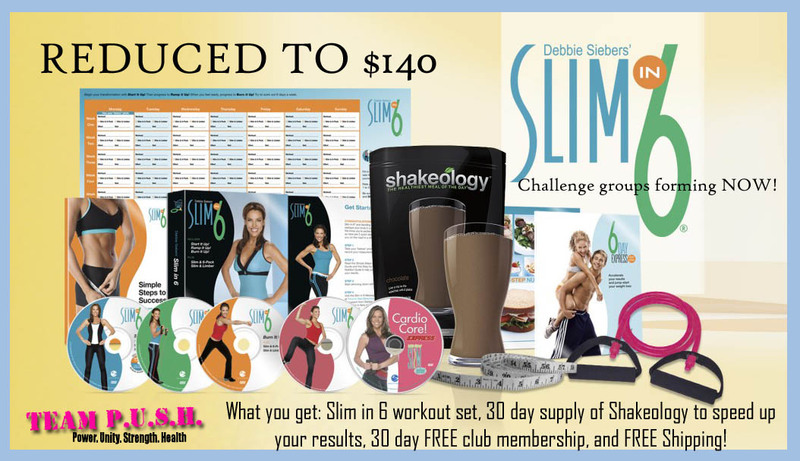 Want to know more about my challenge groups? Message me at usarmywife@gmail.com or on Facebook at Fb.com/jenniferwoodfitness.